We invite you to the first glimpse of the newest branch of the Deens Academy. The Deens Academy is happy to announce that we will be opening the campus with classes from Nursery ( Playgroup) to Grade 5 in June 2015. We look forward to offering upto Senior secondary in a short duration. 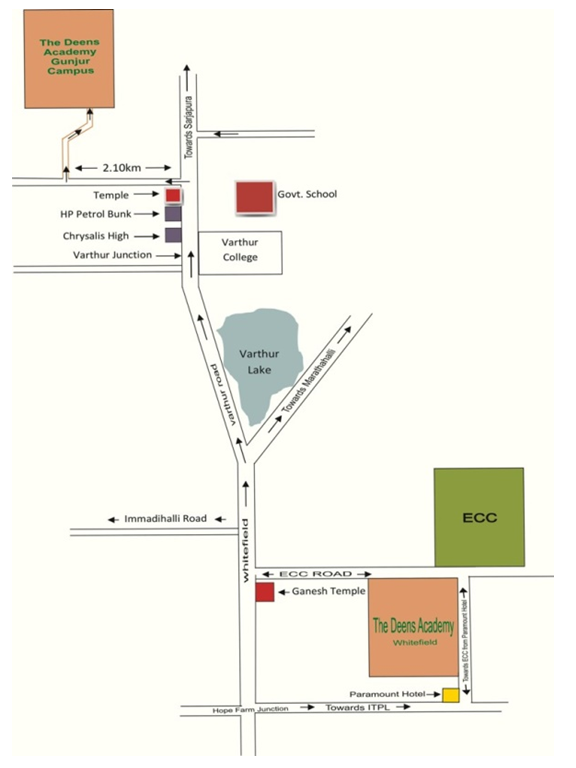 This branch of the Deens will be headed and managed by Ms Shanthi Menon and her team, who have directed our 8 year old school at Whitefield ECC road, to ensure the standards that Deens stands for. Way to the new campus from the old campus.